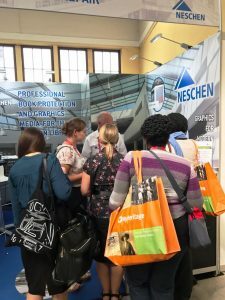 Neschen Coating presented itself to librarians and wholesalers at IFLA 2017 in Wroclaw, the international congress trade fair for libraries. The company presented its self-adhesive products for book protection and repair from 20 to 23 August at stand A105 in the venerable Century Hall, a stone’s throw away from Europe’s largest zoo. The focus was once again on the world-renowned Filmolux and Filmoplast portfolio, such as the Filmolux Bookcover. The cut film for paperbacks and textbooks offers protection and reinforcement in one step. The combination of hard and soft PVC film provides the perfect protection and a sturdy cover that stabilizes books and prevents them from bending – much like a conventional hardcover book. This year’s motto at the IFLA trade fair “Preserving values” was visualised with a new stand design. 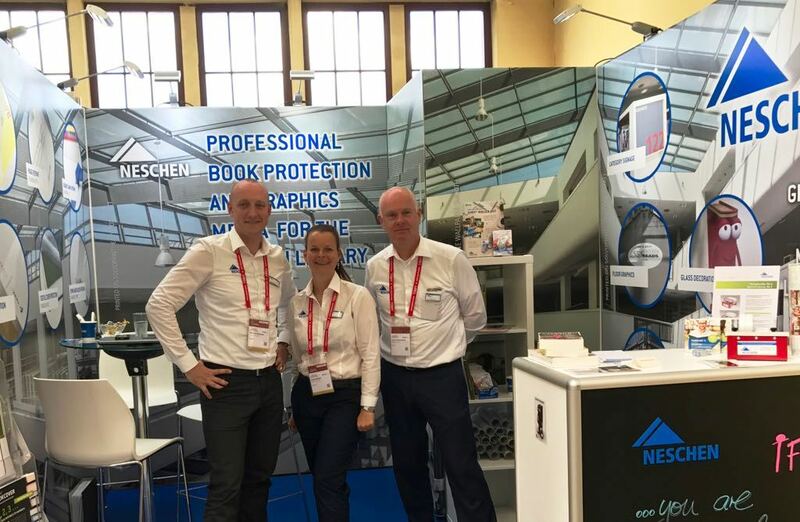 The Neschen products on display at the stand were staged in an elaborate shooting at the Mediothek Krefeld, Germany. Additionally, the complete Neschen stand was designed with self-adhesive media from Neschen production. In addition to self-adhesive film and digital printing wallpaper, the easy dot® chalkboard black attracted a great deal of attention among visitors. The decorative print medium cannot only be printed easily, information can also be applied smoothly and quickly with dry or liquid chalk. 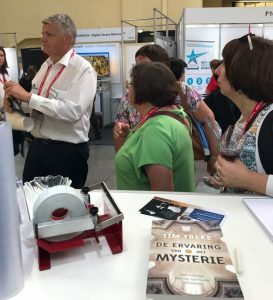 The IFLA World Library and Information Congress travels around the world with changing venues. Each year, the event attracts thousands of trade visitors from 120 countries. In addition to the trade exhibition, numerous lectures and sessions are in the focus of interest. Filmolux and Filmoplast demonstrated in the Neschen product trailer here! « Visit us at IFLA, 20.-23.August in Wroclaw, booth A105!